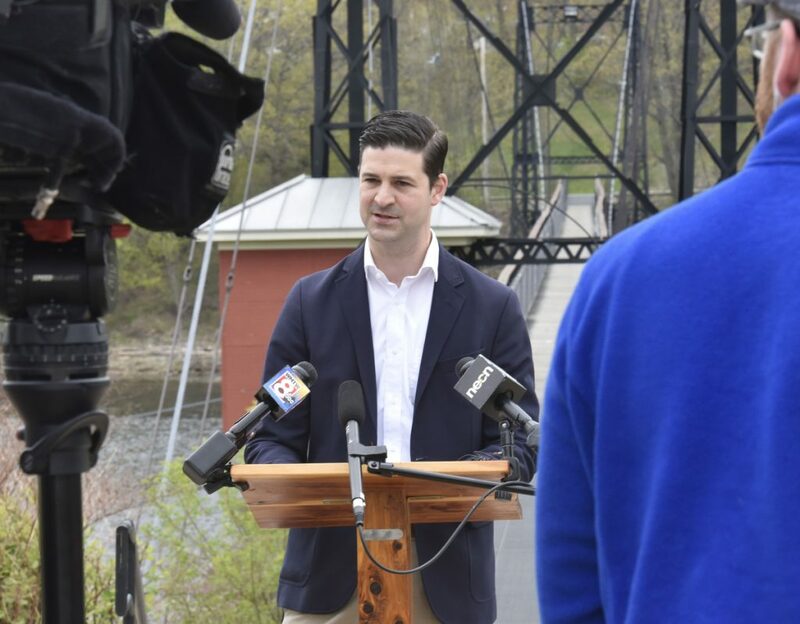 Opponents of Nick Isgro say he's trying to intimidate voters, while an expert said the mayor could be employing a strategy to deflect attention from the reason for the recall. 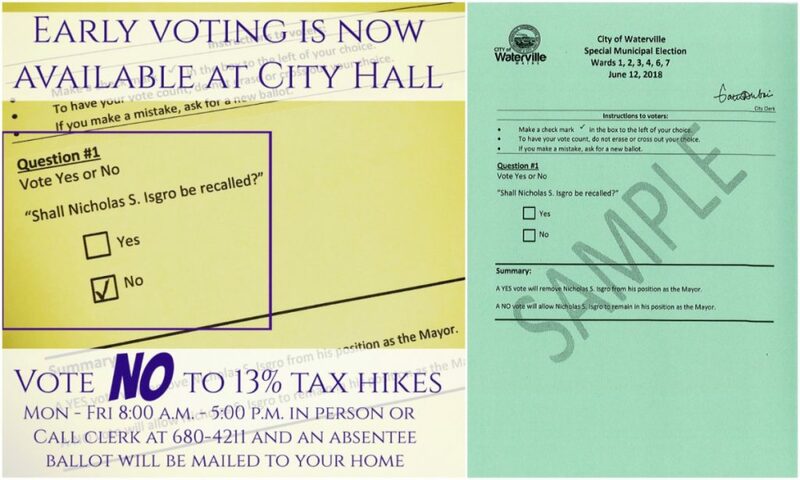 The post includes a picture of the election ballot with the question, “Should Nicholas S. Isgro be recalled?” and the mayor’s message written on top of the ballot. The post comes as Isgro has criticized those involved in the recall, saying it’s a distraction from the good work being done in the city and city business. But organizers of the recall say the mayor is also trying to mislead and distract by making the recall about the tax issue. Isgro did not respond to a phone call seeking comment Thursday. The recall follows a tweet made on his personal Twitter account in which the mayor told the survivor of a Florida school shooting to “Eat it” and subsequent controversy over other posts Isgro has made on social media. His recent post on his mayoral Facebook page follows a strategy some politicians use when they are attacked and want to deflect attention from the root of the attack, according to James Cook, an associate professor of sociology at the University of Maine at Augusta. “It sounds like the argument he’s making is that people behind the recall want him out of office because they want a new mayor with different policies and they have a secret or not-so-secret agenda of wanting to change the policies in Waterville having to do with taxation,” Cook said. In another example, President Bill Clinton employed a similar strategy in 1998 in responding to the Monica Lewinsky scandal, Cook said. “He used the argument, ‘People aren’t really upset about Monica Lewinsky, they’re trying to get me out of office so they can hurt poor people and change the policies.’ It sounds like the mayor may be engaging in a similar strategy, saying, ‘The people attacking me aren’t really upset about the tweet, they want to change who is in office so they can change the tax policy,'” he said. Koch said the recall is not about taxes and Isgro’s post is an attempt to intimidate voters. City officials said Isgro’s statement was false — that no one on the council is working behind residents’ backs on a tax increase and that the process has been open and transparent. They’ve also said that while the city is facing a revenue shortfall that currently lends itself to a tax increase, it’s too early in the budget process to know for sure what that number will be. Meanwhile, Isgro has said those involved with the recall misled voters in order to gather signatures on the petition to recall him. “They told him that signing the petition would allow him to be able to vote for me in an upcoming recall vote. Very, very deceitful,” Isgro wrote. In another post, he said signature gatherers approached an elderly man and told him the petition was a ballot referendum but did not mention the recall effort. More than 30 people circulated the petition, gathering 887 verified signatures. Cook, the sociology professor, said when it comes to trying to figure out the true intentions of either the recall team or the mayor, it’s impossible to know.